Conner Bailey, Becky Barlow and Larry Teeter have been awarded a 5-year, $500,000 grant from the USDA AFRI competitive grant program to investigate the impacts that timberland ownership changes over the last two decades are having on local communities. 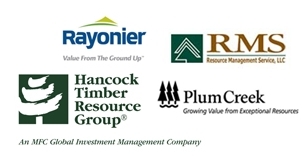 The study titled: Millons of Acres, Billions of Trees: Social and Economic Impacts of Timberland Sales by the Forest Products Industry in Alabama, will use surveys, focus groups, and secondary data analysis to assess positive and negative effects resulting from these sales to TIMOs, REITs and other private investors. Zhang and his collaborator, Brett Butler of the U.S. Forest Service, are using a new three-year, $263,000 grant from the USDA's Agriculture and Food Research Institute to study institutional investors' forest management and land-use practices to help the forest-products industry predict future timber supply, attract capital investment to the industry and shape governmental policy making. 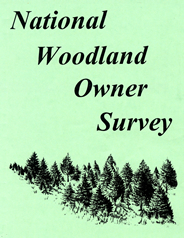 The research seeks to: identify all institutional investors that have bought timberland in Alabama and the South; describe and map their timberland holdings; study their forest management and land-use behavior such as timber harvesting, reforestation and conservation; and assess their economic impacts to rural communities. 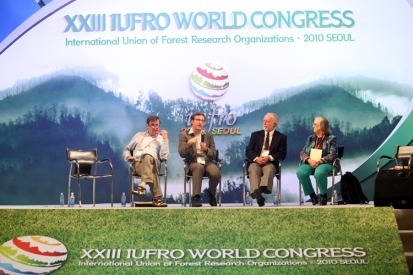 Dave presented a paper titled: Public Choice, Rent-Seeking and the Forest Economics- Policy Nexus at the XXIII IUFRO World Congress in late August 2010, sharing the stage with Nobel Laureate Elinor Ostrom. The award recognizes distinguished individual research in any branch of the quantitative, managerial, and/or social sciences leading to the advancement of forestry. Daowei is a well known expert on forest economics and policy. He has received more than $1,300,000 in extramural and competitive research grants in the past 14 years. 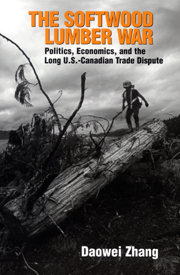 He has authored or coauthored over 64 refereed journal publications, two books, Softwood Lumber War and the forthcoming Forest Resource Economics, and more than 40 other technical reports and proceedings. 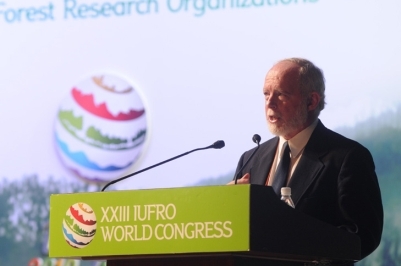 He lectures on forest economics and policy at the University of British Columbia and has consulted with the Food and Agriculture Organization of the United Nations Asia Pacific Forestry Commission, the Center of International Forestry Research in Indonesia, a provincial government and state forestry administration in China, the University of Helsinki, Elsevier Press, the US Forest Service, and six private companies. He is an associate editor of Forest Science and he has served on the board of directors of the Pinchot Institute for Conservation. 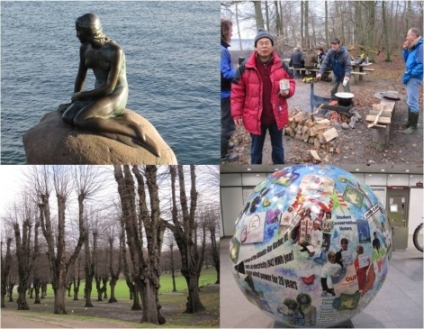 Dr. Yaoqi Zhang received an Erasmus Mundus Scholarship to visit the Centre of Forest and Landscape at the University of Copenhagen as a visiting professor in fall 2009. During his visit, Dr. Zhang explored future collaboration between Auburn University and University of Copenhagen, and taught Forest Management and Forest and Natural Resource Economics to students in Sustainable Forest and Nature Management (SUFONAMA) and other programs. He also offered a number of guest lectures. SUFONAMA is an MSc program offering a two-year world-class integrated course aimed at qualifying graduates to deal with the enormous challenges of sustainable management of natural resources. Five of Europe's best universities in this field are collaboratively organizing the course. 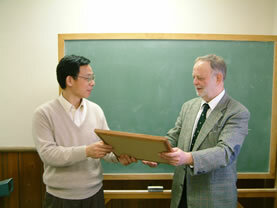 Professor Niels Strange hosted Dr. Zhang's visit. 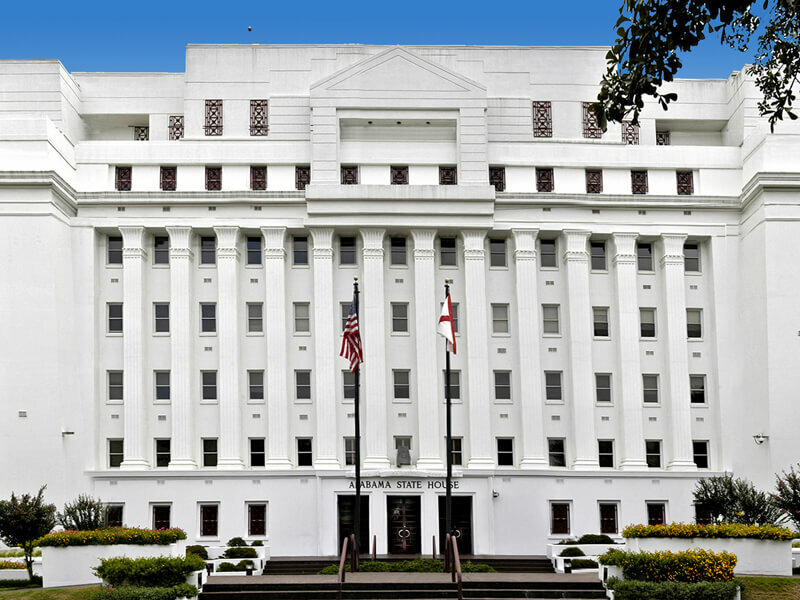 Larry Teeter was invited to address the Forestry Legislative Study Committee at the Alabama State House on July 9. His presentation was titled "Alabama's Forest Products Industry in an Uncertain Economy: It's All About Change". He was asked about economic impacts of the recession on one of the State's most important industries and prospects for an emerging bioenergy to help bring about economic recovery in the forest products sector. 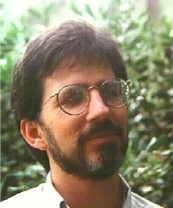 Dr. David N. acted as chair of the steering committee charged with organizing the Center for Forest Sustainability's 2007 conference in Atlanta. The conference was a follow-up to a similarly themed conference held in 2005 where Dave also acted as Chair and produced a proceedings volume for the event. The Forest Policy Center was a co-sponsor of the meeting. The volume contains 58 papers presented at the conference as well as 100 abstracts of additional presentations and 22 poster presentation abstracts. The conference attracted 240 attendees from 16 countries. Dave and Graeme Lockaby (AU’s Center for Forest Sustainability) recently entered into a partnership with the Alabama Resource Conservation and Development Council, the Geological Survey of Alabama, and the Montgomery Water Works Board to estimate the impact of forest cover on aquifer recharge and to assess the economic feasibility of providing payments to private landowners to manage their land for cover that contributes beneficially to aquifer recharge. 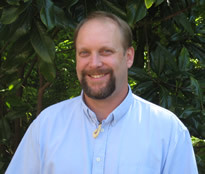 Dr. Wayde Morse recently joined the faculty of the School of Forestry and Wildlife Sciences as a specialist in Human Dimensions of Natural Resources Management. Wayde received his PhD from the University of Idaho and a MS from Colorado State University. In addition to his research experiences in public lands management in the Intermountain region, Wayde has extensive Peace Corps experience in Panama. Indrajit Majumdar and Larry Teeter have received funding from the U.S Forest Service Family Forest Research Center in Amherst, MA to analyze data gathered from the National Woodland Owner Survey regarding the demographics, forest management histories, future intentions and factors that motivate forest landowners to manage the way they do. The study has a national scope and will compare and contrast owners from different demographic backgrounds as well as from different regions of the country. Two goals of the project are to characterize owner groups in a way that might improve efficiency and effectiveness of outreach programs and to provide new information on the expected future availability of timber from private lands. 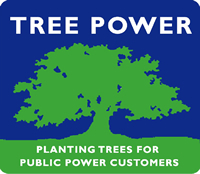 Dave received a grant from the National Urban and Community Forestry Advisory Council (NUCFAC) to estimate the impact of tree shade on residential electricity consumption. Dave and Post-doctoral Fellow Ram Pandit will statistically estimate one aspect of the economic value of urban forests: reduction in residential energy consumption. 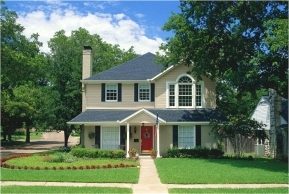 Urban trees cast shade on homes and buildings, lowering the inside temperatures and thus reducing the demand for power to cool these buildings during hot times of the year. They will estimate the value of this ecosystem service for homeowners by using multivariate regression analysis to examine the linkages between the extent and density of tree-cast shade on a large sample of residential properties in Auburn, AL and electricity usage at these properties, controlling for other factors that influence electricity consumption. Recent grants from the Alabama Agricultural Experiment Station are funding two related projects on the development of a biomass/bioenergy sector in Alabama. One will use regional economic impact analysis techniques to estimate the contributions that such an industry would make to different sectors of the economy in terms of employment, income and collected taxes. 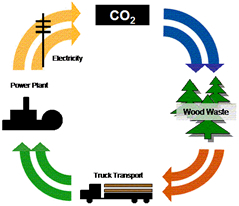 Various assumptions are being made regarding the forms that development may take including co-generation at coal-fired power plants and cellulosic ethanol production. The other project evaluates opportunities and constraints to bio-fuels production by farmers and landowners, including those with limited resources and assesses the likely impact of growth in the biofuels industry on rural Alabama, including changes in land use patterns, employment opportunities, and income generation. Much of this information will be obtained through structured interviews of researchers, policy-makers, biofuel producers, and both current and prospective users of bio-fuels to estimate future growth of the biofuel industry in Alabama and determine where that growth is likely to occur. Daowei Zhang was recently awarded a $310,000 grant from the USDA National Research Initiative to study forest/agricultural land use change in the southern United States. 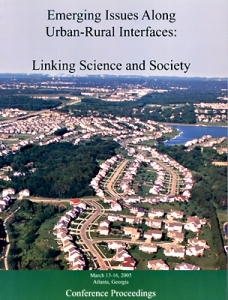 Rapid increases in urbanization, along with market forces and public policy instruments, have altered land use patterns, with consequences for the sustainability of natural resources in the southern United States. 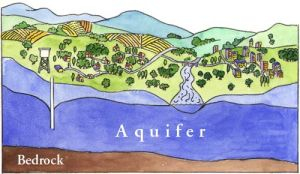 Three critical, but understudied aspects associated with land use change are the role of public policy, especially property tax policy, land use change within the forestry and agricultural sectors respectively, and the determinants of land use change at the watershed level. The goal of this study is to improve our understanding of these aspects. Dave recently received a grant to work with Armando Gonzalez-Caban (USDA Forest Service Pacific Southwest Research Station) to conduct "An Empirical Analysis of Factors that Influence Non-Government Organization (NGO) Appeals of Fuels Reduction Proposals". 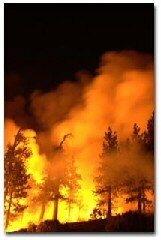 Project Abstract: Emerging public policy (e.g., President Bush's Healthy Forests Initiative) is focusing on reducing forest fuel loads as a means of reducing the incidence/severity of catastrophic wildfires. However, implementation of fuels reduction actions has proven to be problematic, because appeals and lawsuits filed by individuals and environmental groups delay or derail specific proposed fuels reduction actions. Using GAO data on the disposition of 305 appealable fuels reduction proposals made in 2001 and 2002, we employ multivariate logistic regression analysis to identify factors that significantly influence the likelihood that a specific fuels reduction proposal is appealed. Our findings will assist land managers in designing fuels reduction proposals that are less likely to attract public opposition. 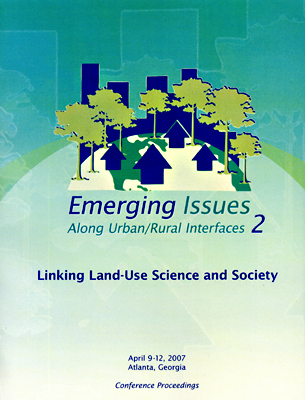 Dr. acted as Chair of the Steering Committee, organizing and hosting the first Center for Forest Sustainability conference on urban-rural interface issues, March 13-16, 2005. Dr. also compiled, edited and published the proceedings volume (right). The conference attracted 250 attendees from 20 countries. Fifty-eight papers, 117 presentation abstracts and 26 poster abstracts are recorded in the volume. The Forest Policy Center was a co-sponsor of the conference. In February 2003, Dr. Mark Dubois and Ms. Laura Robinson traveled to Romania to continue work on a project with three private forest landowner associations. This trip was part of a larger project with Auburn University, World Learning's Romanian American Sustainable Partnership, and the United States Department of Agriculture South-East Consortium on International Development. There were two main goals for this trip. First was to support forest dependent Romanian communities and private forest owner associations for the world forestry market. Second was to aid in strengthening the networking capability of the private forest land owner associations. David is featured in Edward Elgar's fourth edition of Who's Who in Economics, published in late summer 2003. The reference only includes living economists whose work was most frequently cited during the period 1990–2000. Larry Teeter was a recent speaker (February 2003) at a Yale Forest Forum luncheon. His talk was titled Forest Policy for Private Forestry: Old Issues, New Actors. In January 2003, Dr. David Wear, Project Leader and Economist with the USDA Forest Service, visited Auburn as a Weaver Lecturer. Dr. Wear gave an overview of the findings of the Southern Forest Resource Assessment, a multi-faceted review of the status of forest resources in the southern US. Dr. Wear was co-leader of the assessment project with John Greis. In December, Daowei Zhang received the 2002 Alabama Agricultural Experiment Station Director's Senior-level Award for Research, in recognition of his research program and leadership in Forestry and Wildlife Sciences' Peak of Excellence program, the Center for Forest Sustainability. Congratulations to John Schelhas who is a recently elected Fellow in the Society for Applied Anthropology. According to their mission statement, the Society promotes interdisciplinary scientific investigation of the principles controlling the relations of human beings to one another, and encourages the wide application of these principles to practical problems. The School of Forestry and Wildlife Sciences recently filled a vacant Forest Policy and Economics position by hiring Yaoqi Zhang. Yaoqi received his Phd from the University of Finland and has research interests in sustainable forestry and property rights. The Forest Policy Center in the School of Forestry and Wildlife Sciences recently received a contribution from Plum Creek Timber Company to support its research efforts related to forest policy for private forestry. Mr. Ronald Olszewski, Vice President - Environmental Affairs for Plum Creek, visited Auburn and presented the contribution. Mr. Olszewski complimented the Forest Policy Center on the scope of its ongoing research programs and the synergies it is developing with the School's Peaks of Excellence program on forest sustainability. 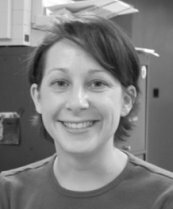 In December, 2002 the Forest Policy Center added another member, Laura Robinson, a Research Associate in the School of Forestry and Wildlife Sciences. Laura in currently working on a project in Romania with Mark Dubois, helping landowners make the transition to a market oriented economy. 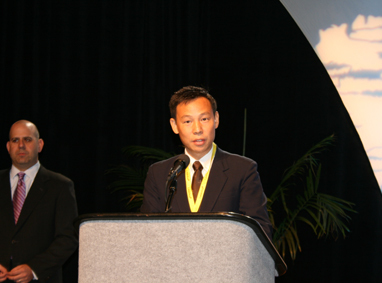 Daowei Zhang was recently (November) awarded the Forest Policy Center's Research Productivity Award for his exceptional record of publishing and grantsmanship during the 2002 academic year. 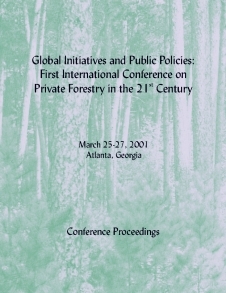 The Forest Policy Center hosted "Global Initiatives and Public Policies: First International Conference on Private Forestry in the 21st Century" in Atlanta, Georgia, March 25-27, 2001. The conference attracted over 200 attendees from 20 countries. A large number of paper presentations made at the conference are included in the two volumes to the right. Forest Policy for Private Forestry: Global and Regional Challenges was published by Cabi Publishing. 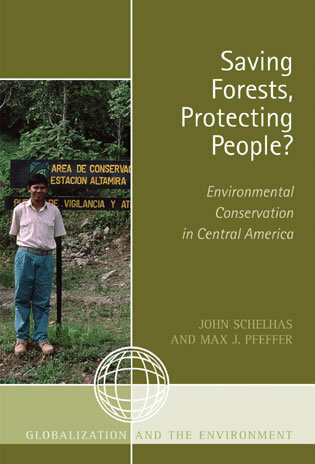 The proceedings volume was published in-house by the Forest Policy Center. Chapters from the book and the proceedings are available for reading. The Birmingham News published a commentary on property rights and the tragedy of the political commons by David 6/24/01. Read it here. The Canadian Political Science Association recently awarded the 2001 John McMenemy award to Steven Bernstein and Benjamin Cashore for the best article in the past volume of the Canadian Journal of Political Science at their 2001 annual meeting. The prize was established in honour of the Journal's Administrative Editor, Professor John McMenemy of Wilfrid Laurier University, who has, since 1977, contributed greatly to the success of the Association and the Société's flagship journal. The Canadian Journal of Political Science, a quarterly journal of the highest international standards, is distributed to approximately 2000 scholars and institutions around the world. Bernstein, S. and Benjamin Cashore. 2000. 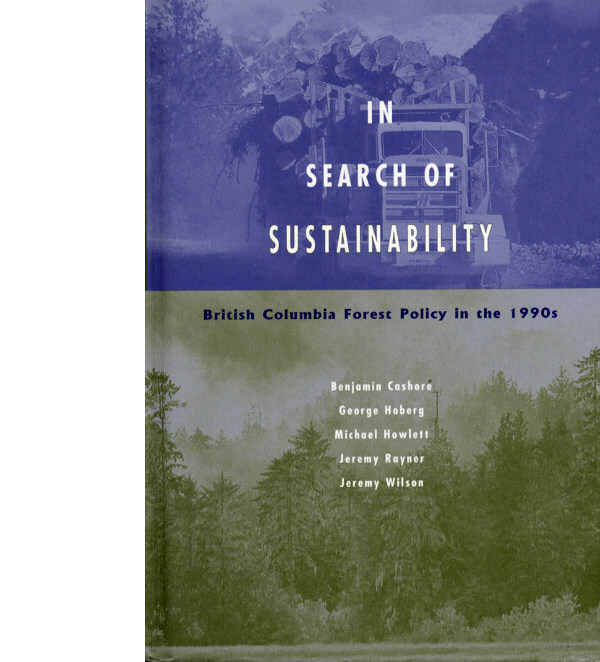 Globalization, four paths of internationalization and domestic policy change: The case of EcoForestry in British Columbia, Canada, Canadian Journal of Political Science,Toronto, 33(1):67-99. 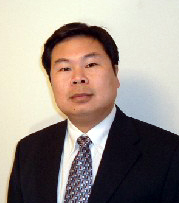 Daowei Zhang recently joined the Board of Directors at the Pinchot Institute. We look forward our future interactions with the Institute through Daowei's participation on the Board.